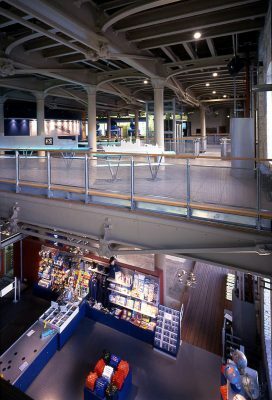 Boathouse 6 is Grade II listed and a scheduled ancient monument in the historic naval dockyard at Portsmouth. 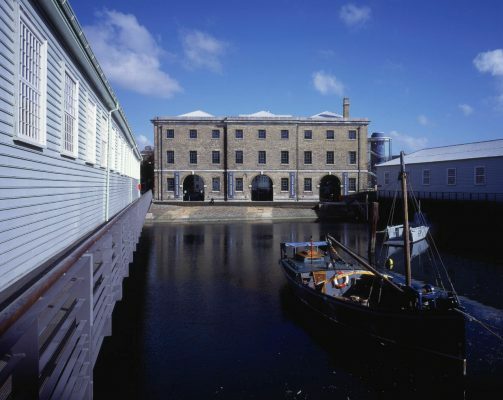 We were approached to produce a design by the Portsmouth Naval Base Property Trust to convert the boathouse into a state of the art exhibition building. 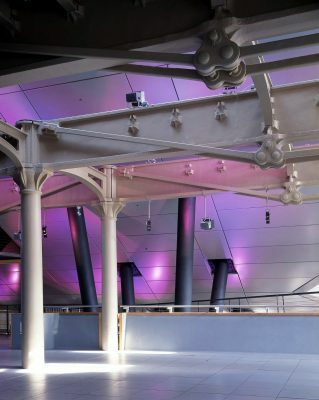 Our challenge was to fulfill the complex exhibition requirements within the constraints of the existing building while respecting and complementing its original construction and fabric. 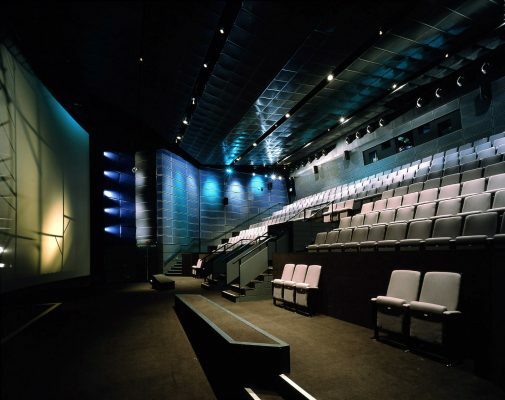 All the new architectural elements (including the auditorium) are therefore reversible, to allow the original architecture and the new insertions to be read separately and to avoid damage to the existing fabric. Unlike the rather humourless structures often produced by today’s pragmatic modernism, the conversion of Boathouse 6 is a joy, an indication that a serious approach can deliver serious pleasure. The boathouse, which dates from 1846, was severely damaged during the Second World War. The area that remained open to the sky provided space to insert a 275-seat auditorium. 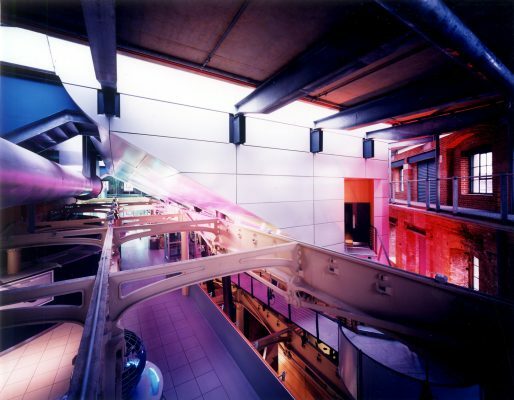 We retained the open character of the interior of the building through fire engineering. This allowed uninterrupted views of the unique frame of long span cast iron beams with wrought iron ties. The auditorium is conceived like the hull of a ship, set in dynamic juxtaposition to the cast iron frame. The brickwork and windows of the existing elevations were carefully cleaned and repaired. The roof was repaired and extended to its original extent. 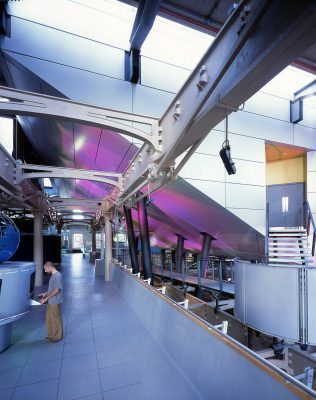 A new bridge was carefully placed within the existing structure and links a new education and cafe area. 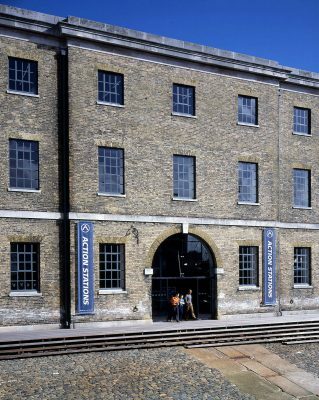 The building contains exhibitions and educational facilities relating to various aspects of the modern Royal Navy which allow the public to interact (physically and virtually) with many of the tasks carried out on board a modern frigate. 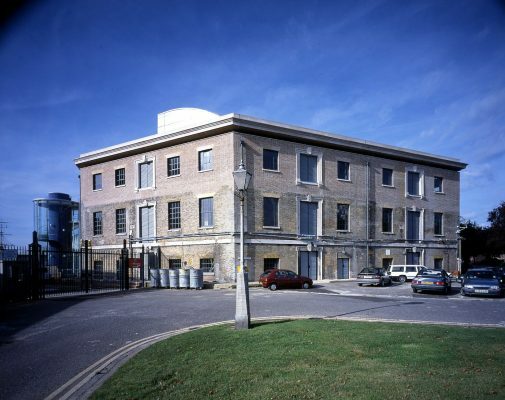 It also accommodates the University of Portsmouth’s Institute of Maritime and Heritage Studies and is let out for private functions and seminars. 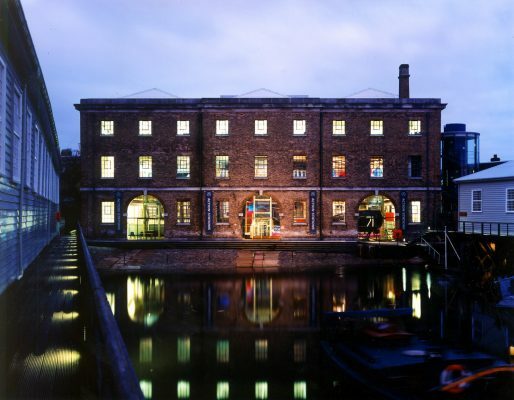 English Heritage used the building to launch their creative re-use initiative. 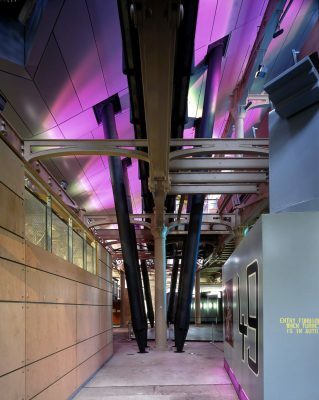 The project included the development of a completely new servicing strategy with feature lighting strategically located to respond sensitively to the existing building and dramatically highlight the new interior.